Because a triathlon is a race made of three separate endurance events, there is often a large list of different types of equipment to use for each portion of the race. Of course, some people simply eschew that thinking and attempt to find equipment and gear that can be used for multiple legs of the race to cut down on transition time. That said, it is somewhat difficult to argue against peak performance, especially if it eclipses whatever you would otherwise save during transition. For cycling, one piece of gear that is often generalized but can provide a legitimate increase in your performance is the shoes. Granted, this does mean that you will need to take off whatever shoes you wearing for the prior leg of the race, assuming the cycling leg was not the first, and take off the specialized triathlon shoes when you finish the cycling led, this time assuming it is not the last leg of the race. Regardless, figuring out which pair of tri bike shoes is the best triathlon cycling shoes for you can be a difficult and confusing task. That is why we have put together a list of the 5 best triathlon cycling shoes, highlighting what each one does best. Then we provide a helpful buyer’s guide, so you can find the best triathlon cycling shoes to suit your needs. Mavic is definitely an interesting company on our list primarily due to the fact that while this brand may currently specialize in biking equipment, it actually started as simply a pedal manufacturer. That said, even with its current focus, Mavis is not truly dedicated to triathlons the way that some other brands may be, but they do have an impressive history and reputations that allow them to put forth some of the biggest innovations in the triathlon cycling shoe market. 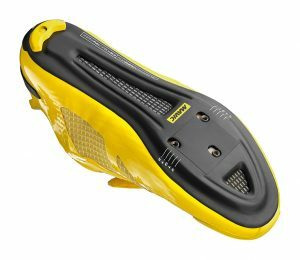 Keep in mind that Mavic is a company which manufactures shoes for racers of the Tour de France, meaning that they understand what it takes to make a marathon cycling shoe. That is why we have ranked the Mavic Cosmic Universe triathlon cycling shoes as our Editor’s Choice best-performing men’s triathlon cycling shoes. Whether you are simply competing in a marathon cycling competition or running the cycling leg of a triathlon, the primary need for your cycling shoes remains the same: transfer as much energy from your pedaling legs as possible, so you can conserve energy, put on the jets if you need to, a finish that leg of the race quicker. Easily one of the best things about the Mavic Cosmic Universe triathlon cycling shoes, and definitely one of the primary reasons we rated these triathlon cycling shoes as our Editor’s Choice best-performing men’s triathlon cycling shoes is because they provide by far one of the best energy transfers that we saw with a rating of 100 on the energy transfer index. This means that you will get more energy from each push of the pedals than you would from virtually any other triathlon cycling shoes that we saw and certainly more than others that we reviewed, regardless the gender. A big reason that the Mavic Cosmic Universe triathlon cycling shoes can deliver the kind of energy transfer numbers that it can is due to the various technologies and materials used in the construction of the different soles. For instance, the outsole of the Mavic Cosmic Universe triathlon cycling shoes, the sole that often determines the overall stiffness and energy transfer of the triathlon cycling shoe, is made out of Carbon SLR that provides the incredible stiffness which fosters the high energy transfer index. 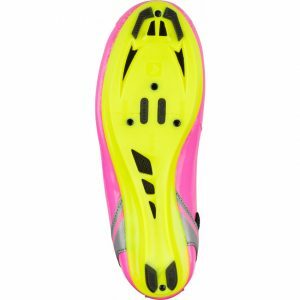 That said, it is worth noting that this may not be ideal for all people as this is by far one of the stiffest triathlon cycling shoes that we saw and could be uncomfortable for some people, especially if the cycling leg comes second or third. Out of all the companies on our list, few have as inauspicious founding as Pearl iZUMi, though the quaint origins highlight a dedication that few other companies can claim. While these days Pearl iZUMi may be one of the bigger bicycle manufacturers around with an incredibly well-respected and well-earned reputation but it began with a delivery man simply wanting an easier way to do his job in the 1950s. As such, that philosophy has infused everything that Pearl iZUMi does which leads to products that are often at the top of their market but with prices that are significantly less than some of their highest-end and most prestigious competitors. Due to this difficult balance of quality and price, it should come as no surprise that we rated the Pearl iZUMi Tri Fly Elite v6 triathlon cycling shoes as our best all-around value men’s triathlon cycling shoes. One of the most important qualities, arguably the most important quality, when picking out a pair of triathlon cycling shoes is to make sure that they fit as well as possible. 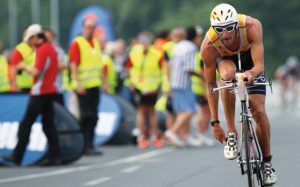 While this makes sense in a generalized way for all legs of the race, it is especially important for the cycling leg of a triathlon due to the unique requirements of long-distance cycling shoes to prevent them from impeding you throughout the rest of the race. As such, the inclusion of a unibody construction is a great start as this reduces the number of pieces and seams required for the construction of the Pearl iZUMi Tri Fly Elite v6 triathlon cycling shoes. On top of that, the Pearl iZUMi Tri Fly Elite v6 triathlon cycling shoes also use a 1:1 Anatomical Tri Closure which allows you to adjust the fit of these triathlon cycling shoes to best suit the shape of your foot and help prevent unnecessary blisters or foot fatigue in the process. With the fit covered, the next most important thing to consider is how well the triathlon cycling shoes transfer the energy from your foot to the pedal. Generally, this is determined primarily by the outer sole as the Pearl iZUMi Tri Fly Elite v6 triathlon cycling shoes feature the Carbon Power Plate which has a stiffness rating of 13. 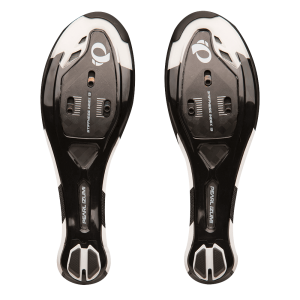 The incredible stiffness provided by the Carbon Power Plate does not impede on the Pearl iZUMi Tri Fly Elite v6 triathlon cycling shoes’ comfort with the inclusion of a thick dual density EVA insole. Keep in mind, the incredible fit of the Pearl iZUMi Tri Fly Elite v6 triathlon cycling shoes also increases the energy transfer, so the 3-layer composite upper that eventually molds to the shape of your foot also boosts this as well. Scott Sports is definitely unusual to make an appearance on our list because this company is one of the few that we reviewed which did not begin specializing in cycling products in some fashion and never has. In fact, Scott Sports actually originated as a manufacturer of innovative ski poles, though they have expanded into a number of different sports equipment markets, including, of course, triathlon equipment. That said, Scott Sports definitely does not accommodate all of the particular nuances of triathlon cycling events, something that they seem to be acutely aware of. 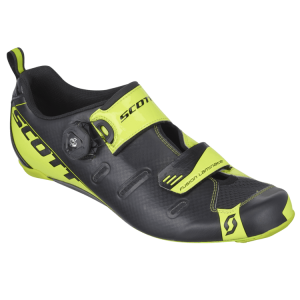 As such, the Scott Sports Tri Carbon triathlon cycling shoes makes our list as the best price budget men’s triathlon cycling shoes. Just at a glance, it is easy to see an obvious difference between the Scott Sports Tri Carbon triathlon cycling shoes and all of the other men’s triathlon cycling shoes that we reviewed. Specifically, this is the only pair of men’s triathlon cycling shoes that we reviewed that features the BOA IP1 closure which features lightweight, strong laces held together with dials that allow you to make incredibly minute and precise adjustments. This provides the option to get exactly as tight or loose of a fit as needed which means that the Scott Sports Tri Carbon triathlon cycling shoes can provide one of the better fits that you are liable to find. That said, this type of closure can be a bit difficult to get into, though it is by far the easiest method for taking the triathlon shoes off. In fact, with the press of a button, the Scott Sports Tri Carbon triathlon cycling shoes nearly fall off of your feet without much effort. One thing that is a bit interesting considering that Scott Sports does not actually specialize in triathlon cycling shoes is that they specialized the insole and the outsole, both of which provide focused benefits to different qualities of the ride. For instance, the Scott Sports Tri Carbon triathlon cycling shoes have an HMX Carbon outsole that provides a stiffness index of 9. Though, this actually makes the Scott Sports Tri Carbon triathlon cycling shoes the least stiff that we reviewed which can affect the energy transfer index. That said, a big part of the reason that Scott Sports is less stiff than their competitors is to provide a more comfortable feel, so you do not have to worry about your foot fatiguing as much. In fact, the Scott Sports Tri Carbon triathlon cycling shoes use an ErgoLogic insole which allows you to adjust the insole to provide a customized fit. As a company, SIDI is fairly similar to some of the other companies that we reviewed in that it specializes in cycling equipment with a niche focus on mountain sporting competitions. On top of that, SIDI also has a fairly impressive history that stretches back nearly 60 years and does at least have its founding in footwear. These days, SIDI does still specialize in biking gear, though they have definitely expanded the commonly used definition of that term. Specifically, SIDI manufacturers both traditional bicycle equipment as well as motorcycle equipment. Regardless, SIDI’s dedication to footwear of all stripes has paid off dividends as we have rated the SIDI T-4 Air Carbon triathlon cycling shoes our Editor’s Choice best performing women’s triathlon cycling shoes. One thing that often gets overlooked when selecting a pair of triathlon cycling shoes is that many racers prefer to wear triathlon cycling shoes without socks. Of course, to ensure that you do not damage your feet while wearing the triathlon cycling shoes without socks, manufacturers have to find a way to prevent rubbing and seams. Thankfully, the SIDI T-4 Air Carbon triathlon cycling shoes make it a point to cater to this particular demand with a couple of features. For instance, the interior features a brushed finish which feels incredibly soft to the touch and prevents the formation of hotspots. On top of that, the SIDI T-4 Air Carbon triathlon cycling shoes also have a perforated design to allow for the most ventilation. Finally, the tongueless design ensures that there are fewer seams and lines to rub against the skin when cycling barefoot. From top to bottom, inside and out, front to back, the SIDI T-4 Air Carbon triathlon cycling shoes found a way to incorporate carbon into virtually every part of these triathlon cycling shoes. For instance, the outsole, arguably the most important part of a pair of triathlon cycling shoes, is made from a combination of nylon and carbon. The nylon is used to provide water resistance without increasing the weight while the carbon provides durability as well as increased stiffness to help increase your energy transfer index. Beyond the outsole, the SIDI T-4 Air Carbon triathlon cycling shoes also feature an upper made of Politex, a proprietary material that features a unique manufacturing process that layers fabrics and plastics in such a way as to dramatically increase the tensile strength and durability without increasing the weight or restricting breathability. 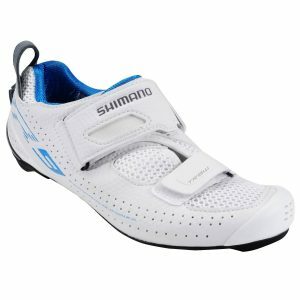 Shimano is an unusual company for triathlon racers looking for triathlon cycling shoes considering it specializes primarily in gears that are used for sporting and entertainment purposes. In practice, this is somewhat limited to bicycles and fishing reels, but that does not mean the company sits pat with its specialty. Instead, Shimano puts its considerable experience of over 90 years to bear on all of the different equipment within its niche markets. That said, this brand does still place a premium on precision and simplicity which is great if you are looking for the most durable women’s triathlon cycling shoes. When running a triathlon, each piece of equipment should be specialized to your particular needs, but the biggest all-around need for any piece of equipment used during any leg of the race is the ability to stand up to the rigors of a race designed to test endurance. Though you may be far more concerned about your own personal, physical endurance, it is also important to remember that your equipment is undergoing the same stresses and rigors. As such, it is a good idea to make sure that not only can your equipment hold up but it can help you hold up under the strain as well. 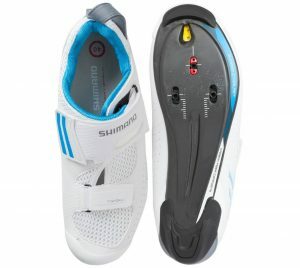 For the Shimano TR9 triathlon cycling shoes, both of these requirements are met as the Dynalast carbon outsole is designed to withstand whatever stress it may encounter during the race and the air intake vents keep your feet ventilated better than most other triathlon shoes can provide. Unless the cycling leg of the triathlon is the last leg of the race, then there is a pretty good chance that you will have to change out of your triathlon cycling shoes and into a pair of other specialized shoes for the next leg of the race. Regardless of when you have to do this, there are few things that are as frustrating or spirit-sapping as having to struggle taking some piece of gear off to put on the gear necessary for the next leg. Thankfully, the Shimano TR9 triathlon cycling shoes understand this all too well and provide a couple of different features to make this process easier. 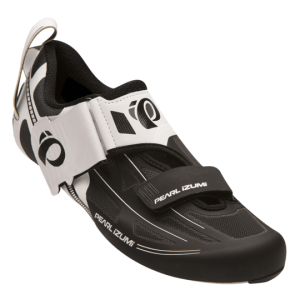 For instance, these triathlon cycling shoes feature a T1-Quick strap closure that is reinforced with a hook and loop forefoot strap to make tightening and loosening the Shimano TR9 triathlon cycling shoes quick and easy. On top of that, the asymmetrical, offset heel loop makes pulling the Shimano TR9 triathlon cycling shoes a breeze. Because of its popularity and reputation, it might surprise some of you to find out that Louis Garneau is actually one of the most recent companies to be founded that we reviewed. In fact, with a little under 4 decades of experience under its belt, some may wonder how the brand is able to consistently produce some of the best performing products on the market that are often used by first place professionals. This is largely due to the fact that Louis Garneau specializes exclusively in cycling equipment and that the company’s eponymous founder is himself a Gold Medal Olympic cyclist. 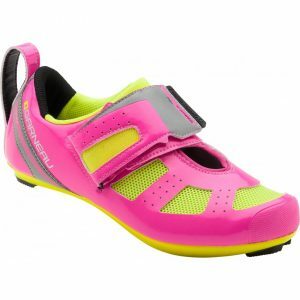 That said, it only makes it all the more surprising that the Louis Garneau Tri X-Speed 3 triathlon cycling shoes are our best price budget women’s triathlon cycling shoes. Whenever a popular and prestigious brand ventures into the “budget” market, they are generally doing so with the explicit purpose of luring casual cyclists into paying a bit more than perhaps they should for equipment that is far superior to anything they would need for their purposes. That said, this does still allow amateurs, enthusiasts, and even professionals to find excellent deals on high-end triathlon equipment that costs half of what the competition charges. That said, due to their cycling specialization, the Louis Garneau Tri X-Speed 3 triathlon cycling shoes are also the most compatible triathlon cycling shoes we reviewed, able to be used with a wide variety of different sized pedal. When you are looking at budget products in a given market, the most important thing to first do is make sure it provides a good quality to whatever is the most important consideration. For triathlon cycling shoes, the most important consideration is the fit, and the Louis Garneau Tri X-Speed 3 triathlon cycling shoes provide a couple of features to ensure that the fit is secure. Though it should be noted that the Louis Garneau Tri X-Speed 3 triathlon cycling shoes do have a tendency to run a size large, once you find the right size for you, they fit like a glove. The STD FIT system is in part responsible for this as is the HRS-80 heel cup. Combined, they prevent the Louis Garneau Tri X-Speed 3 triathlon cycling shoes from moving at both your forefoot and the heel. On top of that, the Louis Garneau Tri X-Speed 3 triathlon cycling shoes also feature a reversed velcro closure that makes adjusting them on the fly mid-race much easier. While the fit of all triathlon gear is extremely important, for the sake of triathlon cycling shoes, the fit is likely the most important quality you can consider when selecting a pair of triathlon cycling shoes. As such, it is vitally important that you make sure the triathlon cycling shoes fit properly or you are liable to find yourself half a leg or more into the race before you realize that the wrong triathlon cycling shoes can completely shut down your race. It is interesting to note that the importance of this works in all directions as being too large is just as bad, if not worse, as your triathlon cycling shoes being too small. In fact, it is worth remembering that it is by wearing a pair of triathlon cycling shoes which are too large that you are most likely to develop blisters, a sharp departure from how shoe fit normally works where shoes which are too tight are the ones that cause blisters. 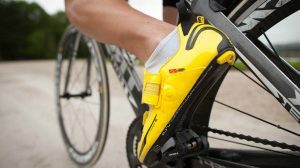 Of course, shoes which are too tight can potentially cause blisters as well, but due to the unique circumstances when pedaling a triathlon bike, a tighter fit is simply more likely to fatigue your feet rather than cause blisters. Because the foot is continuously moving in every direction at a rapid pace, a pair of triathlon shoes which are too large will ultimately have the room to rub against the inner walls of the shoes and almost guarantee the development of blisters by the end of the cycling leg. One thing to keep in mind is that the fit of the triathlon cycling shoes will change depending on which leg of the race the cycling leg is run. This is because as you run a triathlon, the different legs of the race affect your feet in different ways which will then impact how the shoes you wear for the next leg of the race fit. For example, the best triathlon cycling shoes to use after the swim leg or the race are unlikely to fit differently than the best triathlon cycling shoes to use as the opening leg of the race. 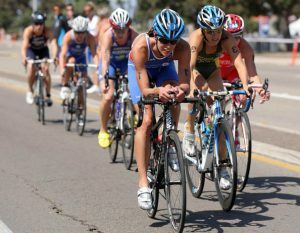 In fact, the sequence of the race’s legs is just as important as just getting the best triathlon cycling shoe in general due to the fact that your feet will swell over time as you run the race and the shoes for each leg of the race will fit differently as the race progresses than had they been tried on in a store. If you are going to go the extra mile to get a pair of specialized triathlon cycling shoes to improve your performance in the cycling leg of the race, then it only makes sense to ensure that the shoes do just that. 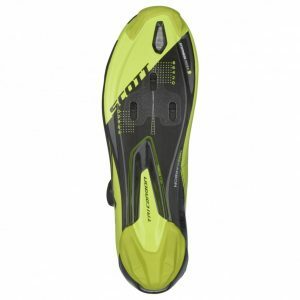 The biggest contributor to any improvement in your cycling time with the inclusion of triathlon cycling shoes is due to the outsole, specifically, whatever type of plate the manufacturer uses. Keep in mind, this plate needs to be fairly stiff, so it will transfer as much power from your foot to the pedal as possible without any wasted motion. That said, the plate must also be incredibly lightweight, otherwise, it will ultimately contribute to fatigue and present as more of a hindrance than a benefit. This is why most of the higher-end brands of triathlon cycling shoes make it a point to use either carbon or some type of carbon composite since it is both incredibly lightweight as well as extremely stiff and durable. As we can see, there are simply too many different types of racers, each with their own particular set of needs, for a single pair of triathlon cycling shoes to unanimously be the objective best triathlon cycling shoes for all people. 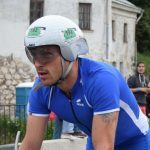 Some people may be a bit more invested in triathlon competitions and willing to further invest in the best pair of triathlon cycling shoes they can find while other people might simply be looking for the best pair that will not also break the bank. 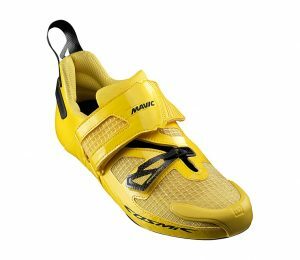 For those looking for the best of the best, we recommend the Mavic Cosmic Universe triathlon cycling shoes for men and the Sidi T-4 Air Carbon triathlon cycling shoes for women. Both of these shoes are made of materials devised by their respective companies which perform better than the standard fare that you might otherwise find on a pair of random triathlon cycling shoes. On top of that, each one provides specific benefits that set them apart from the rest of the pack. Of course, there are plenty of competitors who simply race for fun and may not be comfortable paying multiple hundreds of dollars for a pair of shoes. In this instance, we recommend the Scott Sports Tri Carbon triathlon cycling shoes for men and the Louis Garneau Tri X-Speed 3 triathlon cycling shoes for women. While both of these triathlon cycling shoes may not strictly provide the best performance, they both do provide an excellent value and are made of high-quality materials while still providing a legitimate benefit to focused considerations. 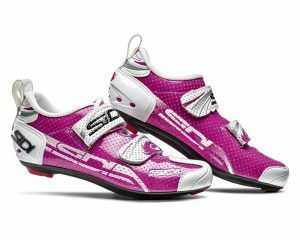 Is the SIDI T-4 AIR CARBON a unisex Triathlon Cycling shoe or is it only for women ?